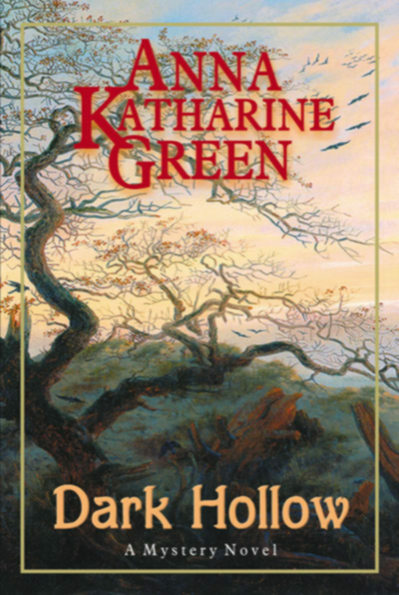 Anna Katharine Green (1846-1935) was a popular mystery writer whose work explored the hidden and darker elements in a rapidly changing American society, often in a New England context. Green was born in Brooklyn, NY. As a child, she used to overhear discussions her father, a prominent defence lawyer, had with colleagues about cases he was handling. This no doubt spurred an early interest in crime and intrigue. Green was also from an early age very much committed to literary pursuits, and produced over her lifetime some thirty detective novels that were widely read and appreciated. Despite her success, she avoided media scrutiny, and preferred a quiet home life. Nonetheless, at times she jumped into the center of controversy, such as when she voiced her conservative views on female suffrage. She married Charles Rohlfs (an actor and furniture designer), in 1884, and had three children. Although generally credited with excellent imagination and logical plots, Green's books had trouble receiving unqualified critical acceptance due to the general discrimination against mystery writing at the time. However, she had a wide-ranging influence on later writers of mystery, most notably Agatha Christie. Some of her other notable works were: A Strange Disappearance (1880); XYZ (1883); Hand and Ring (1883); The Mill Mystery (1886); Agatha Webb (1899); The Filigree Ball (1903); The Chief Legatee (1906); The Woman in the Alcove (1906); The Mayor's Wife (1907).